TV reporter Tiel McCoy is driving down Interstate 20 on her way to New Mexico for a well-earned vacation. But her itinerary is rewritten when she hears on the radio that the teenage daughter of a well-known Fort Worth multi-millionaire has been kidnapped, at least that's the official report. In truth, she is pregnant and has run away with her boyfriend. After calling her editor, Tiel abandons her holiday plans in favor of pursuing the story. During an innocuous visit to a convenience store in Rojo Flats, Tiel gets up close and personal with the barrel of a gun, two desperate young lovers -- and the scoop of a lifetime. In the electrifying standoff that follows, she learns why the two young runaways fear the wealthy father of one of them even more than the FBI...and why she must defend them against a world bent on their destruction. 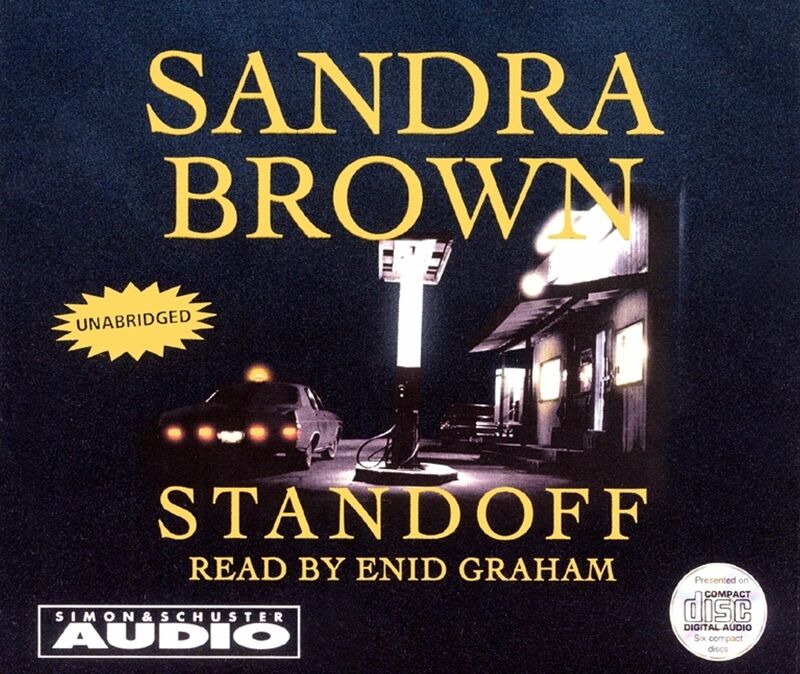 Poignant and riveting, Standoff is suspense at its best, as only Sandra Brown can create it.